Tucked away in the Vale of York - The Owl Barn Holiday Cottage is the perfect place to take a holiday, a short break or spend the weekend. 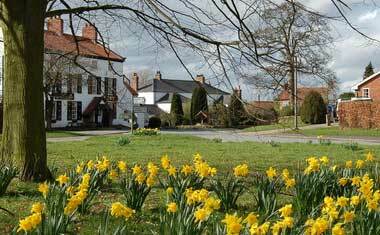 In the heart of rural North Yorkshire the cottage is only 8 miles / 20 minutes' drive from the iconic historical city of York. Whether you are seeking a quiet weekend away from it all relaxing in country pubs and savouring the beauty of the North Yorkshire countryside or a "full on" sightseeing break exploring the stunning city of York. 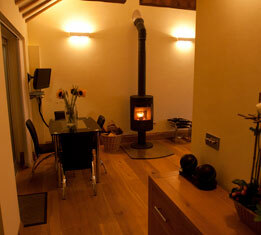 The Owl Barn Holiday Cottage will provide the perfect place to stay. Lovingly converted from vintage cart sheds, the two bedroomed holiday cottage (both bedrooms offering the option of either a single king size, or generous twin beds) is the ideal mix of beams and original features, combined with the very latest modern amenities. With two bathrooms, providing a choice of walk in shower or jet bath, spacious lounge, modern kitchen / dining area and secluded paved courtyard with barbeque area and outdoor hot tub. The Owl Barn Holiday Cottage suits every taste The Owl Barn Cottage's owners too are passionate about providing superb hospitality, so not only is the cottage appointed to the highest possible standard, but extra luxury touches and services are also available to meet your every need, be it daily housekeeping services, luxury picnic hampers to greet your arrival, courtesy transfers to nearby villages and even the provision of a stable for those wanting to bring along their own trusty steed. Even in its idyllic rural location, The Owl Barn Cottage is less than 2 miles from three pretty North Yorkshire villages, Newton on Ouse, Tollerton and Shipton by Beningbrough, offering a choice of cosy country pubs with real ales, excellent pub food and a warm Yorkshire welcome for visitors to the area. The Owl Barn Cottage is also however only 8 miles from the beautiful historic city of York, dominated by its Gothic Minster and less than 30 minutes' drive from The Victorian Spa town of Harrogate and the North Yorkshire market towns, of Easingwold, Thirsk, Malton, Ripon and Helmsley. 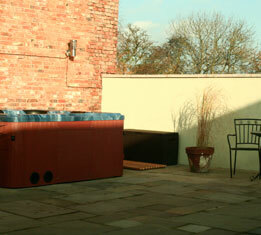 Want to make your stay at The Owl Barn Holiday Cottage - Nr York, even more special? Why not add some extra little touches. Our holiday cottage special offers include late-deals, price discounts and fantastic value-added extras.